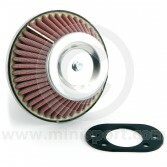 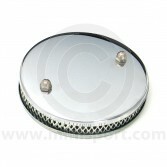  As part of our comprehensive range of Air Filters, we supply our own-engineered Mini Sport Air Filter Systems. 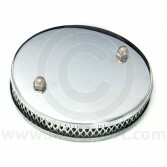 Our Air Filters are available as Chrome Pancake, Cone and Tapered styles to suit all carb types including HIF, HS2 SU and HS4 SU Carb types. 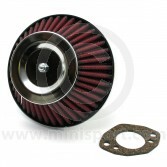 Our Air Filters have been designed and developed to optimise engine performance and promote a cleaner engine system – suitable for all Classic Mini Models.